L.K. offers a wide variety of tools and equipment, including: hand and power tools, electrical equipment, auto shop equipment, lifting and towing equipment, cargo handling equipment, tool bags, boxes and trolleys, tool storage units, industrial furniture, safety and protective equipment, cleaning equipment, hydraulic equipment, woodworking tools, gardening and pruning tools, pneumatic and air tools, compressors, generators, LEDs and flashlights, 4x4 off-road equipment, surplus and used equipment, and much more. L.K. Ltd. is a privately-owned company founded as a partnership in 1952 by the late Yehoshua Luel (1914-1999) and David Katz (1919-2003). 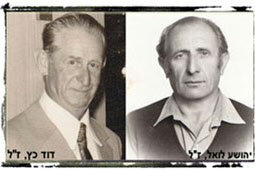 The partnership was called Y. Luel & D. Katz. In 1980 the company became a limited company and the name was changed to L.K. Ltd. – "L" for Luel and "K" for Katz. Today, the company is managed by the second generation of the founders – Hanoch Luel, Gideon Katz and Tzafrir Katz, and third generation – Tal Luel. In 2012, the offices and sales operations were moved from Tel Aviv and Zrifin, to our new building in Ramla. The company is certified to Quality Management Standard ISO 9001:2015, as well as Environmental Management Standard ISO 14001:2015 and employs about 50 employees. The main branch of L.K. Ltd. is located in Industrial Zone A, Ramla. At the main branch are the company offices, sales showroom (~1,000 sq.m), computerized logistics center & warehouse (2,500 sq.m), used and surplus equipment yard (9,000 sq.m), service center (250 sq.m) and client parking. 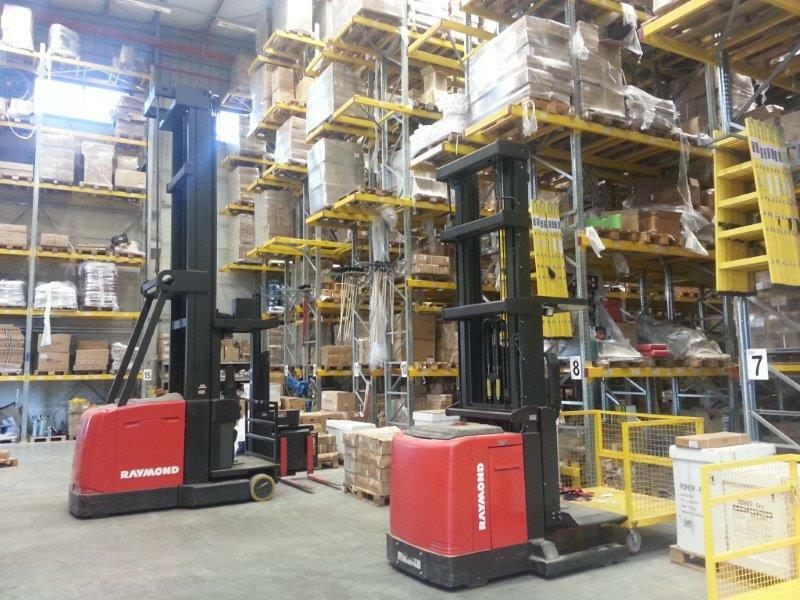 The North Branch, located in the Kidmat Galil Industrial Park, is wholly owned by L.K. Ltd., and serves our northern customers with a store of 700 sq.m. Both branches are accessible to customers with movement disabilities. The company has over 70,000 registered customers. Our clients include the Ministry of Defense, the Israel Police Force, Rescue Services, auto repair shops, hardware stores and distributors, municipalities, kibbutzim, moshavim, high-tech companies, factories, contractors, excavators, manufacturers, welders, woodworkers, carpenters, gardeners, construction companies, and landscaping companies in Israel and abroad. 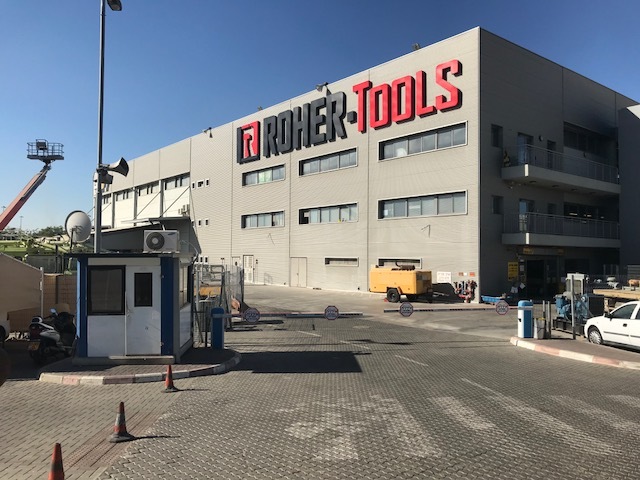 Among the leading brands we import exclusively: ROHER TOOLS and ROHER-PRO – high-quality hand tools, GS KING TOOLS – professional hand tools, HANDY FORCE - professional auto shop equipment, CALAMAN – professional hand tools, T-MAX – off-road equipment, TONSCO – professional pry bars, LINSON & BRIGHT - pneumatic tools, TEC-U – lifting and cargo handling equipment. We are distributors of LOCTITE-TEROSON products. We also sell a wide range of products from quality brands, such as: BOSCH, DREMEL, MAKITA, RIDGID and more. Benefits - Why Choose L.K.? ♦ All tools and equipment in one place - One-stop shop! ♦ High-quality, professional equipment, directly from importer to consumer. ♦ Large inventory, continuous supply, even for large orders. ♦ Delivery service nationwide and export experience. ♦ Full warranty, service and repairs, spare parts. ♦ Authorized supplier of the Ministry of Defence (No. 83123171). ♦ Authorized supplier of IMI (No. 1134872) and IAI (No. IT197). ♦ Certified to Quality Management Standard ISO 9001: 2015 and Environmental Management Standard ISO 14001: 2015. ♦ Certified by Access Israel as having the highest level of accessibility. ♦ Well-established company that has maintained a reputation of reliability and professional service for over 60 years. ♦ The company strives to protect the environment, save energy and contribute to the community. The product About Us added to cart successfully!